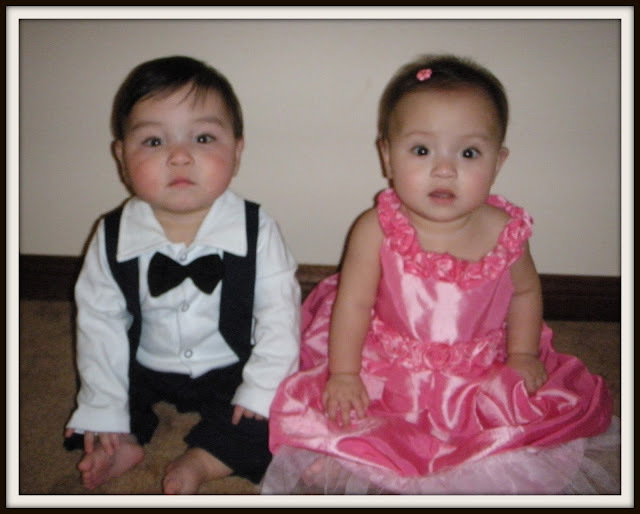 My twins niece and nephew were celebrating their 1st birthday last Sunday. They were born 3 months premature but now are very healthy. My sister prepared the birthday party with the Little Twin Stars theme from Sanrio. 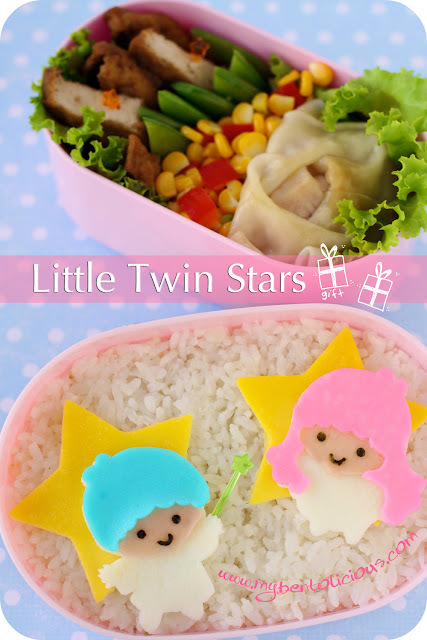 So I thought, it is a good idea to put Little Twin Stars in the bento too. I used colorful egg sheets, nori, and fish sausage to make them. If they are here, I will definitely send the 2 bento for them. Unfortunately they live far away ... so perhaps when I visit them next time and they are big enough to eat solid food then I will make bento for them. I was in a hurry this morning and just took the picture in my kitchen with a wrong setting in camera. So this time the picture become a little bit pinkies. Can you also spot another mistake I made in this picture? Inside the box : sauteed tofu in dark soy sauce, sauteed veggies (peapods, corns, red paprika ), and prawn dumplings. The box was pretty deep, so I put 5 dumplings inside. Just updated this post with the 2 pictures that my sister just emailed me tonight. The twins are Brandon and Natalie. On their 1st birthday and wearing the Mickey and Minnie Mouse clothes from us. They are super cute! oh..this bento is so "Lia"..
what is the tips to make such bright blue and pink egg sheets? Happy birthday to your niece and nephew, Lia...hope they always be healthy. Carrying twins is a tough job that I had it myself. Nice blue and pink color for the hair! Hi Lia, mistake? mhmm i dont know but i do know i'm loving it!they are so cute..
Super cute twin stars! lovely! I cannot see any mistake but only see pretty and nice bento here...haha. @Sysyl : Inilah akibat telat bangun, semuanya diburu-buru sampai nggak ngeh kalo posisi tongkatnya salah hehehe ... Thanks a lot yah Syl! happy born twins niece and nephew day mba lia^^. I wish i am become one of them to get first taste on your preety cute bento. LOL. Kindly, want to ask you where did you buy cute mold and lovely bento tools with cheap price offcourse? Oh.. kids grow so fast! 1 year old for both!! oh my... soon they are coming alone by plane for a stay with you ^_^. So cute Little twin stars! I don´t think the mistake is so important! Lala lent it to her bro ^_^. And the star wand! so lovely pick! It's so perfect Lia. Those Twinstars are the best charaben you have made! Super nice photo too. I wish I had these skills! Those babies are SO adorable too!! OMG ... your niece and nephew are soooooooooooo adorable!!!!! ... Happy Birthday from auntie Lina. This is so cute to match 2 adorable little babies! Happy birthday to the twins! Love their chubby cheeks. heehee. Little Twin Stars used to be my best friend (in high school)'s absolute favourite characters! I wish I could send this to her now.. AAAWWWWWWW!!!!!!!! they are SOOOOO ADORABLE!!!! Feel like pinching them tho. LOL! Happy Birthday to the adorable twins! So glad that they are doing great now! And as usual your bento is always full of cuteness! Love the Twin Stars! 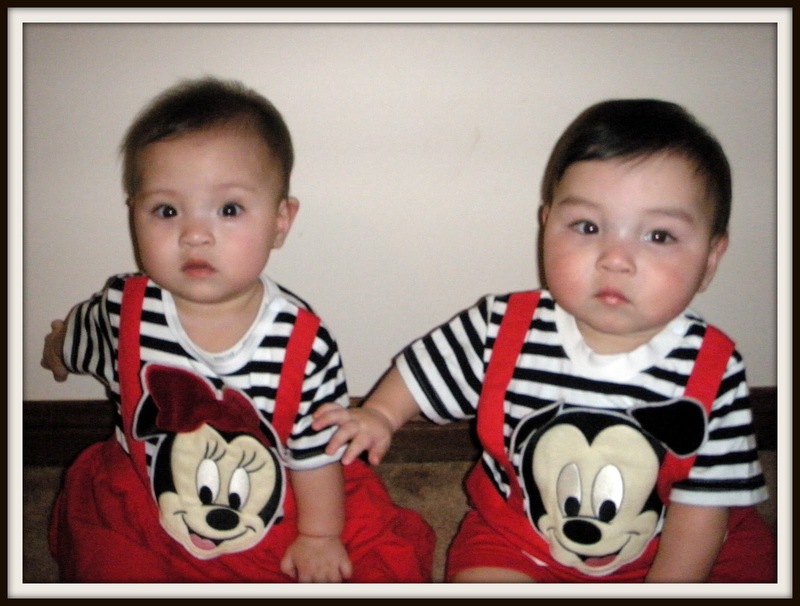 Just saw the twins photo, They are so Cuteeeeee..
Hi, I'm Mary & i'm amazed to have viewed your blog. Just wonder how can you have such a creativity for all your bentos! keep it up! i will be following your blog and hope to learn some skills from you.